With its variety in color and bloom sizes, the hibiscus plant is an affordable choice for gardens all over the US and Europe. Bred for over two hundred years, the hibiscus can fill almost every garden need including size and soil considerations. A beautiful bloomer, this sun lover is easy care with summer long color. 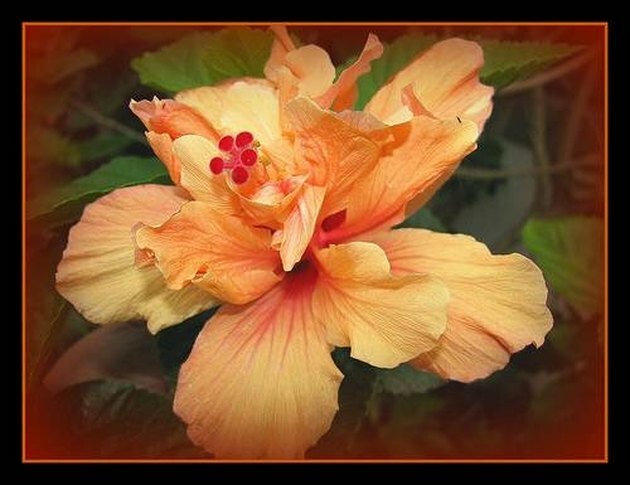 Originating in southern China, the hibiscus travelled throughout the south pacific and into Hawaii. Its popularity as a blooming plant made it a welcomed immigrant in Europe in the 1700's after the Chinese had bred various colors. The hibiscus was introduced to America in 1842 at a flower show in Philadelphia. 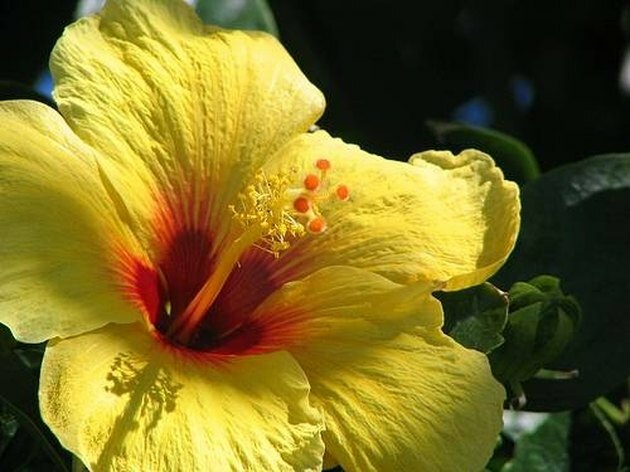 Originally a popular catalog order, the flower made its way across the states and eventually Hibiscus groups and societies were formed furthering the variety of bloom colors and overall plant sizes. The hibiscus plant is a star when it comes to decorating patios and porches everywhere. Nice green foliage highlighted with large colored blooms, this sun lover has flowers all season long and provides both height and color to a garden grouping. 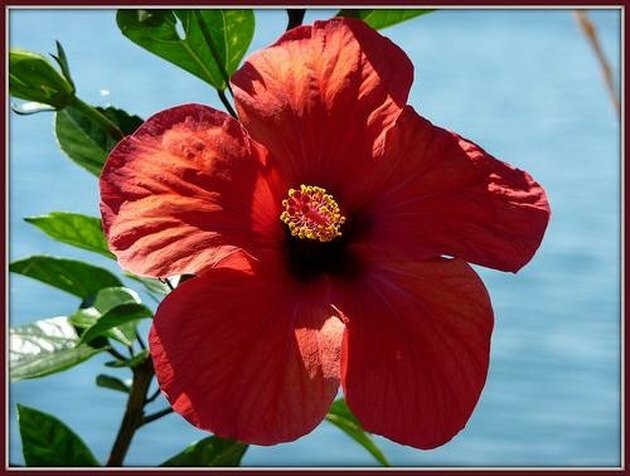 There are over two hundred different types of Hibiscus plants available with various flower colors, cone sizes and foliage. Here are just a few basic types to think about. There are over seven different types of Hibiscus native to Hawaii, and the Chinese Hibiscus is the most common of these. The blooms are used for leis, and are treasured for their ornamental appeal. 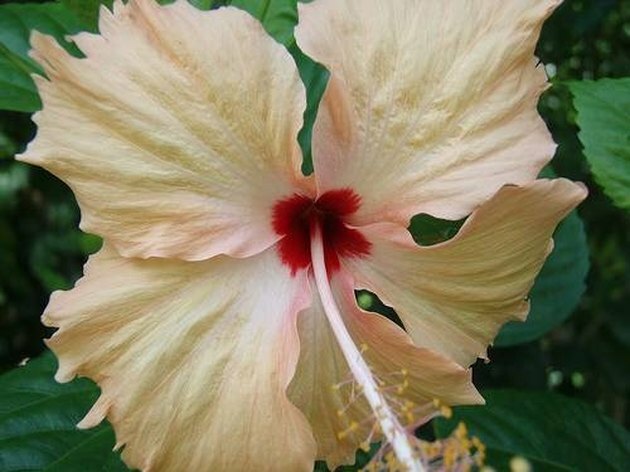 Known to locals as the Pua Aloalo, the Chinese Hibiscus is the state flower. 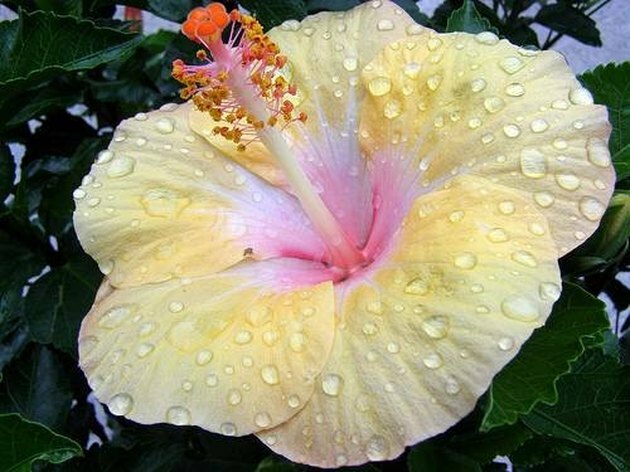 There are a large assortment of colored-bloom hibiscus including the Molten Lava type which has a varied bloom color, the pink hibiscus which includes the Soft Shoulders and Blue Angel type and the yellow hibiscus which includes the Irish Eyes and the Yellow Submarine styles. 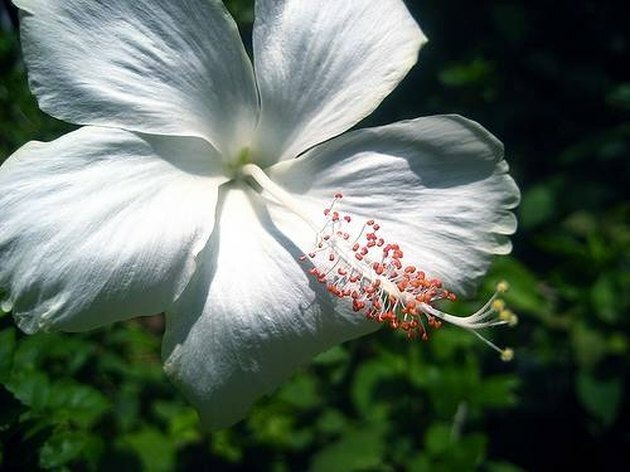 The rarest type of hibiscus is the hibiscus arnottianus immaculatus which is prized for its large white flowers. Grown only in the mountain regions of Western Oahu, it's believed that there are less than ten wild Immaculatus plants still thriving. Originating in tropical climates, the hibiscus can be grown in the ground year round in climates where there is little to no frost. In zones 6 and 7 plants can be left outside for the summer and covered or brought indoors for the winter. In zones 5 and further north, plants must be potted and wintered indoors. The hibiscus plant can range from a large shrub to a small container plant and blooms can be two inches to one foot in size. Shrubs can be 15 feet tall and these larger varieties can be trained into "trees." The average patio variety is about 4 feet tall when potted. Diane Steinbach has been writing for a variety of professional, educational and entertainment publications for more than 15 years. She has authored several books on art therapy, including "Art as Therapy: Innovations, Inspiration and Ideas." Steinbach holds a Bachelor of Arts in art therapy and behavioral science from Mount Mary College in Milwaukee. What Are the Native Plants of Venezuela? What Trellis Plant Is Not Poisonous to Dogs?